While it's easy to spend a lot of money on skincare and expect amazing results, there's so much more to it than that. If there's only one thing you take away from this post, make sure that it's to be consistent and NEVER go to bed without washing your face. If you wear make up or use sunscreen (which you should be wearing sunscreen EVERYDAY) then make sure that you double cleanse. Every night I do a double cleanse to get rid of the make up, sunscreen, grime and dirt from the day. I love using a cleansing oil or cleansing balm. At the moment I'm obsessed with the Nilly + Booth Mandarin Chamomile Organic Cleansing Balm. I purchased this in my Natural Supply Haul (here) and boy am I glad that I did. It's incredible!!! I apply it to dry skin to help break up the make up. Depending on how lazy I feel I may just do a 20 second massage all over my face, otherwise I will do a minute or two massage to make sure the balm helps dissolve all the dirt on my face. I then use a damp cloth to remove it. What I really love about this balm is the fact that it removes my make up and leaves my skin feeling refreshed and soft, without it feeling oily. 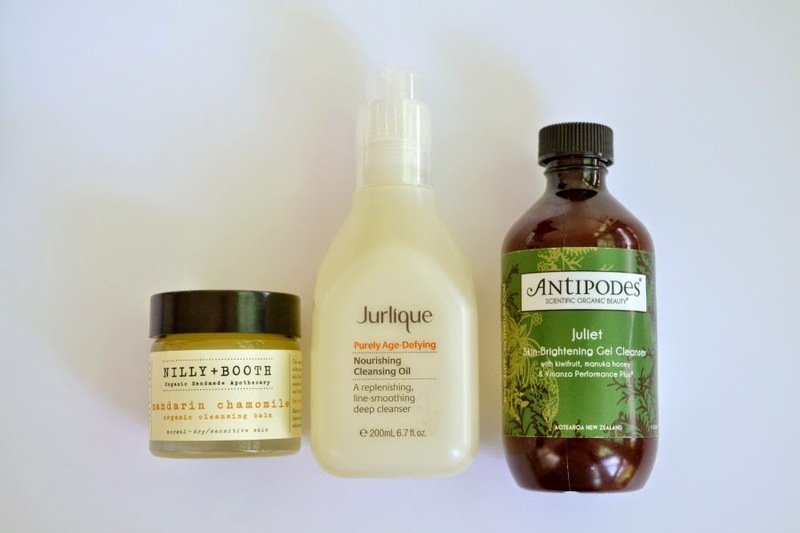 I then follow up with the Antipodes Juliet Skin Brightening Gel Cleanser. The second cleanse actually cleanses my skin and makes sure that there's no left over dirt and grime. Even though this is a gel cleanser, it doesn't make my skin feel tight or dry even though it's being annoying and is dry one day and oily the next (ahhh the joys of hormones). Another cleanser that I've really been loving lately is the Jurlique Purely Age Defying Nourishing Cleansing Oil. * I use this either as my first cleanse (since it's oil based and will break up the grime) or I can use it as my second cleanse and use it after the Nilly + Booth balm. It's a fantastic all rounder. I love the fact that it's in plastic packaging (and with a pump!) as I sometimes can be clumsy, especially when you add oil and water in a shower! Other cleansing oils that I love are the Dr Lewinn's 4 Fusion Cleansing Oil (reviewed previously here), Clinique Take The Day Off Cleansing Balm and the Antipodes Grapeseed Butter Cleanser (reviewed previously here). 99% of the time I'll do a double cleanse, but on the rare occasion I feel too tired, I like to use a cleansing wipe. 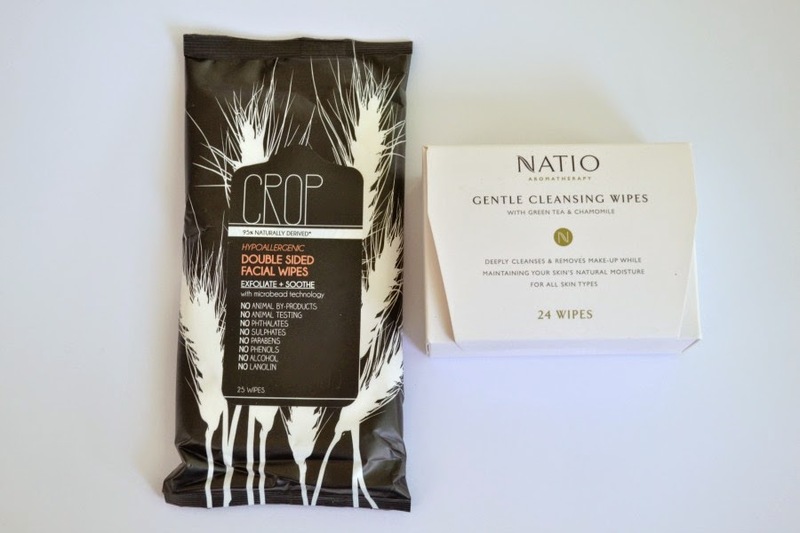 Newer to the market is the Crop Skincare Double Sided Facial Wipes. It's a new skincare brand that currently have 6 products. I picked up these facial wipes from Coles as I was interested in the fact that they have one side that exfoliates and one side that soothes and cleanses. 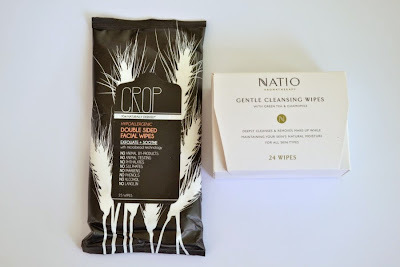 Another fantastic wipe is the Natio Gentle Cleansing Wipes. These live up to the name and are really soft and gentle. Micellar waters are another great option when you're in a hurry/feeling lazy. I really like the Bioderma and Avene versions, but have heard great things about the Embryolisse micellar water. There are a few ways of cleansing. Everyone is different and it's really about finding a method that works for you and your skin. I use a combination of my hands and cleansing cloths. I really like the Mecca Cosmetica Clean Slate Face Washing Clothes as they're double sided. 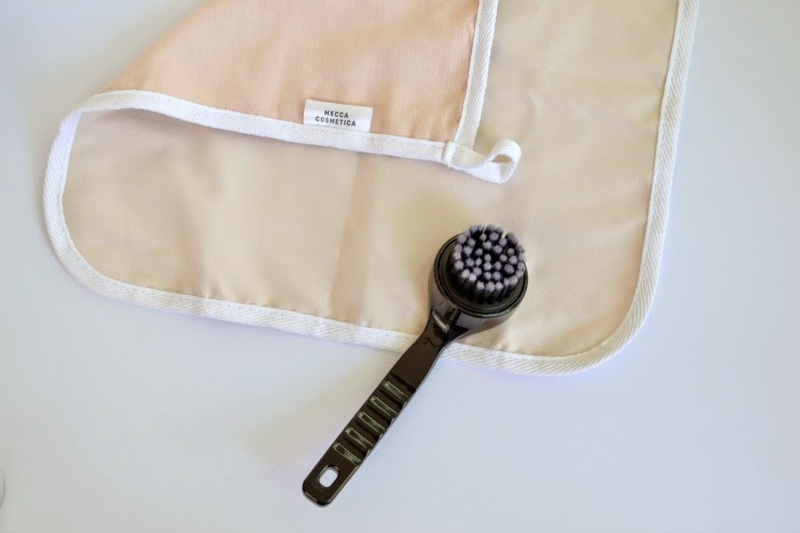 One side is muslin, which is great for a gentle exfoliation, while the other side is microfibre and can be used every day. The Body Shop also has their own version that's similar. I've also used mechanical cleansers like the Clarisonic and the Olay Regenerist Advanced Cleansing System* (reviewed previously here). If you're looking for an alternative, then the Manicare Facial Cleansing brush is great as you do all the work. You can make it be as soft or as hard as you want, or fast or slow. And that's the basics of cleansing! Now who is brave enough to admit that they don't cleanse their skin every night before bed? Ahhh, at least you're cleaning at night. I've heard some people say just water is fine in the morning, as long as you've cleansed well the night before.